Established in 2000 as a familiar clothing brand in California, Pro-dab has built a name for itself surrounding all things dab. Home based in San Diego, Pro-dab is introducing their new line of vape-able cannabis oil. As cannabis innovation continues to evolve, vaping still remains an easy, convenient option for those seeking an inconspicuous and cannabis odor free way to medicate. They offer 3 types of vapes: Gold, Platinum & Premium...all of which provide exceptional taste and potency. The Pro-dab Platinum edition offers 5 distinct flavors of the most well-known and widely-used strains of cannabis on the market today. Jack Herer, Sour Diesel, and Gelato are just some of the strains introduced with even more crowd favorites on the way. Pro-dabs Gold edition delivers a full line of Indica-based OG’s. They have strains like Tahoe OG, Fire OG, SFV OG, and King Louie XIII. Each .5g cartridge has a sleek, ergonomic design and is filled with lab-tested, potency checked cannabis oil. Gas up with that Triggeration Station, a premium OG strain which packs quite a punch of both flavor and effect, brought to you by San Diego’s own home-grown Mitchy Slick. Really though, these things are pretty strong, and taste damn good. We got a chance to try one and it did not disappoint. After taking the first puff or two, the effects can be felt right away just minutes after consuming so be aware. Pro-dab has taken pride in what they do since 2000. Having now expanded into the budding cannabis industry, the clear golden oil is strong, flavorful, and effective. With so many new products available on the market, keep your eyes out for the Pro-dab Gold, Platinum, and Premium cartridges and be sure to tell us what you think! 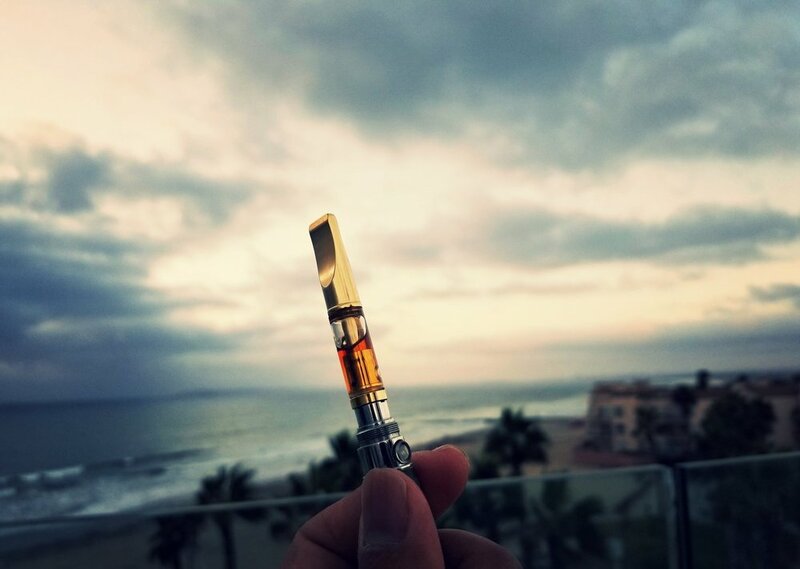 You can find a Pro-dab vape cartridge in select dispensaries in San Diego and throughout California. Check out our list of available locations. For more information, check them out at www.prodaboil.com. Please share your pro-dab experience with us at info@cityspliff.com.